Beautiful RVA meeting at Lewis Ginter Botanical Garden last week. There are so many reasons to be grateful this season, among them the solid enthusiastic response from nearly 50 folks who attended the Beautiful RVA meeting last Wednesday to discuss the potential for a community-based beautification initiative. Anna Salzberg, Julia Arnone, Kaila McClead, Lois Milone, Will Wright, and Toby Vernon. 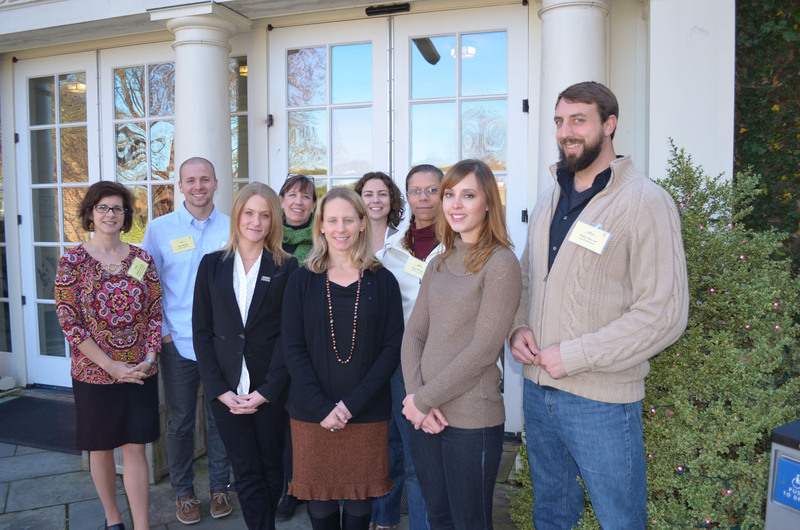 Dr. Meghan Gough from VCU’s Urban and Regional Planning Program along with her students: Anna Salzberg, Julia Arnone, Kaila McClead, Lois Milone, Will Wright, and Toby Vernon, and Garden Director of Education Randee Humphrey, and the City of Richmond’s Alicia Zatcoff. Alicia Zatcoff, the City of Richmond’s Sustainability Manager, championed this meeting and lead its design, with early guidance from Elaine Summerfield from The Community Foundation and inspirational energy from Lucy Meade of Venture Richmond. And thank you to the many new faces who joined the collaborative groundswell of Beautiful RVA—we had representation from nearly every Council district in the City of Richmond. In a swift two hours, we learned more about the City’s plan, RVAgreen: A Roadmap to Sustainability, and its specific call to action to develop a community-based beautification program. 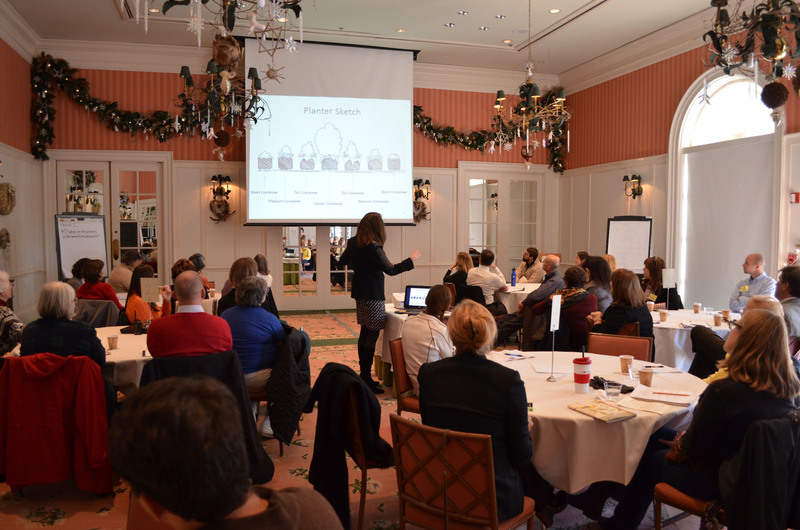 Lucy Meade shared elements of success from Venture Richmond’s recent RVA Arts District Botanical Makeover, and table discussions then cited many other examples of successful grassroots greening projects. Each table tackled a summary of community resources available to provide power to a community-based beautification program, as well as how we can create an “enabling environment” for this important work. With each table isolating its 3 biggest ideas and a group discussion of actions that might happen in the next 90 days, the clear commitment to individual, organizational, and collaborative action left us feeling like anything and everything is possible! So stay tuned for our next steps, early in 2014, and if you weren’t able to attend, here’s a short survey so you can weigh in with your own ideas (the deadline for survey responses is December 13). Why Richmond, Why?!? A special shout-out and thanks to Phil Riggan for his column yesterday about Beautiful RVA! Chimborazo Urban Orchard project: check out the attached press release about the collaboration between Enrichmond Foundation and the Martin Agency to establish an urban apple orchard in Chimborazo Park, with a Kickstarter campaign potentially fueling the project (campaign continues through December 15). This collaboration combines the resources, vision, and expertise of several partners: The Martin Agency, Enrichmond, Friends of Chimborazo Park, City of Richmond Department of Parks, Recreation, and Community Facilities, Commonwealth of Virginia Urban Forestry, and Blue Bee Cider. With deep appreciation for all you do on behalf of a more Beautiful RVA, best wishes for the holiday! And consider bringing Uncle Bob and Aunt Lizzie to the Garden on Friday, when we launch Dominion GardenFest of Lights with a Grand Illumination, featuring appearances by Annie Hickman’s Rainforest Creatures!